A group of people rush frantically down a strange-looking corridor. One man urges another person forward: “Come, Jolinar, we must hurry!” Jolinar activates the Stargate, and looks up into a mirror. It is Captain Carter. Carter awakens from her vision suddenly. “I think I’ve found something,” she says. Carter has been experimenting with techniques to help her remember things left in her mind by Jolinar of Malkshur, a Goa’uld symbiote who recently possessed her body for a short time (“In the Line of Duty”). Jolinar was a Tok’ra, a member of a faction of rebel Goa’uld who oppose the System Lords … and Carter may have found a way to find them. SG-1 journeys to the gate address that Carter saw in her vision, hoping that the Tok’ra — who were apparently fleeing to a new location — might still be there all these months later. Indeed, SG-1 does find the Tok’ra — or rather, the Tok’ra find them. Carter recognizes one man from her vision — Martouf — and the team agrees to surrender their weapons and be taken to the Tok’ra base to speak with their leaders. The team is taken to meet Grand Council Garshaw, the leader of the Tok’ra movement and the most hunted Goa’uld of all time. Carter speaks to the group of Jolinar’s final days, and his affect on her personally. Garshaw informs SG-1 of the Tok’ra’s way of life: they object to being called Goa’uld, as they oppose everything the Goa’uld stand for. The Tok’ra do not take hosts against their will, but only accept those who wish to be joined. The Tok’ra therefore live as truly symbiotic beings — the Goa’uld and the human host live together for mutual advantage, and the human host often speaks freely. But, this foundational principle of the Tok’ra has also thwarted their efforts to overthrow the Goa’uld System Lords; because they do not take hosts by force, their numbers are scarce, and dwindling. Garshaw introduces SG-1 to Selmak, a symbiote who is about to be lost because his human host — an old woman — is about to die. The Tok’ra ask if one of SG-1 would be willing to become Selmak’s new host. They are all repulsed by the idea, and refuse. This leads the Tok’ra to believe that they are not interested in an alliance — for there is nothing else that Earth could offer them but hosts. SG-3 soon arrives, sent by General Hammond to extract Captain Carter. Her father, Jacob Carter, is on his death bed. His cancer (“Secrets”) has spread to his liver, and is now immediately threatening his life. Carter left for this mission knowing that his cancer was progressing rapidly, but knowing also that the old General would not want his daughter around to watch him lose this battle. The point is moot, as the Tok’ra refuse to allow anyone to leave the planet. 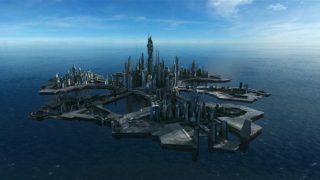 Earth’s proposal of an alliance has been reviewed by the Tok’ra High Council and refused, and now the presence of the humans presents too great of a security risk for the Tok’ra. They will be held as “guests” until the time comes for the Tok’ra to move to another world. At their previous base of operations, the Tok’ra kept their Stargate within their facility (presumably underground), as seen in Carter’s initial vision of the evacuation. The Tok’ra may have the ability to construct a Stargate, but more likely moved one from the surface to the underground caverns that they created. As they collapse their caverns upon leaving a planet, the Tok’ra may have intended on rendering that gate useless. The Tok’ra use Goa’uld transport rings to transport within a planet — from the surface to underground tunnels, where they live. This is the first time we have seen transport rings used to transport through a planet. Because of the nature of their symbiotic relationship, the Goa’uld and the Tok’ra host feel the same emotions. This may not necessarily be the same for Goa’uld who take their hosts by force. When the Tok’ra arrive on a planet, they go into hiding deep underground. They possess the technology to grow and collapse crystalline tunnels. Tok’ra take only voluntary hosts — they have never taken a host against his or her will, with the notable exception of Jolinar’s introduction to Samantha Carter. The relationship between the Tok’ra and the host is truly symbiotic: the host gains the knowledge and wisdom of the symbiote, and at least doubles his or her lifespan. The lifespan of a Tok’ra human host is about 203 years, without the use of a sarcophagus. The Tok’ra do not use a Goa’uld sarcophagus. They believe that to do so would “drain the good” from them (“Need”). Jolinar’s host was, in fact, a woman. All of the symbiote’s hosts were women, with the exception of the Nassian man in whom Carter found her. Jolinar and Martouf were mates, and were together for nearly 100 years. When a Goa’uld and its host join, their minds intermingle, and become as one. The soul and identity of the human remains intact. According to Jaffa legend, the Tok’ra are the Goa’uld resistance. Their stated goals are the destruction of the System Lords and a change in the ways of the empire. The Tok’ra are hunted and despised by the Goa’uld, and are known for their ability to mask their trails. The Tok’ra had operatives who died on board the two ships belonging to Apophis, which SG-1 exploded in Earth’s orbit (“The Serpent’s Lair”). The Tok’ra did not know that the ships were attacking the Tau’ri (the humans of Earth, from which all other human planets in the galaxy were seeded). The human host of Garshaw is named Yosuuf. The last host of Jolinar whom Martouf knew was named Rosha. In addition to having a single leader figure in Garshaw, the Tok’ra are governed by a council of approximately six members — the Tok’ra High Council. Goa’uld — the parasites themselves — do not have gender. The Tok’ra live openly with one another. They have no secrets, and therefore no doors or partitions in their base. Samantha Carter – Now many weeks after her experience being joined with the Tok’ra Jolinar of Malkshur, Carter has been experimenting with ways to help her remember things left over in her mind by Jolinar. She has already discovered that she has the ability to use Goa’uld technology (“Thor’s Chariot”) and to sense the presence (or lack thereof) of a Goa’uld (“Need”). Carter struggles with the thought of becoming a host again — primarily because she finds it hard to separate Jolinar’s identity, memories and emotions from her own. She feels the things that Jolinar felt, as imprints left on her personality. They are more than just memories — Carter experiences residual emotion left by Jolinar, such as Jolinar’s love for Martouf. Jacob Carter – Jacob’s lymphoma has spread into his liver, and he is near death. He has moved into an apartment in nearby Colorado Springs, so that he can be closer to Sam during his final days. But Jacob is a strong and stubborn military man, who refuses to allow his daughter to watch him fight a losing battle with cancer. Martouf – Martouf is a young Tok’ra, the former mate of Jolinar of Malkshur. They were together for nearly 100 years, making even the young Martouf quite old by human standards. He seems to miss Jolinar deeply, and has therefore taken a liking to Samantha Carter — Jolinar’s final host, who possesses many of her emotions and memories. Martouf is the name of the human host; his Goa’uld symbiote’s name is Lantash. If a Goa’uld takes a host by force and retains constant control over him or her, does anything remain of the human mind or soul? Do the minds of the two beings only “intermingle” when the joining is voluntary on both sides? How are Tok’ra underground tunnels lit? Is Cordesh a member of the high council, or was he simply acting as its spokesman? What was the small sphere Jack spotted in Cordesh’s personal quarters? What happened to Rosha, Jolinar’s previous female host? How did Jolinar end up in the body of the Nassian man (“In the Line of Duty”)? Will Captain Carter ever be released by the Tok’ra? The rest of the group may return to Earth when the Tok’ra move to a new planet — but Carter represents a great and ongoing security risk, because of Jolinar’s memories within her mind. VOTE! 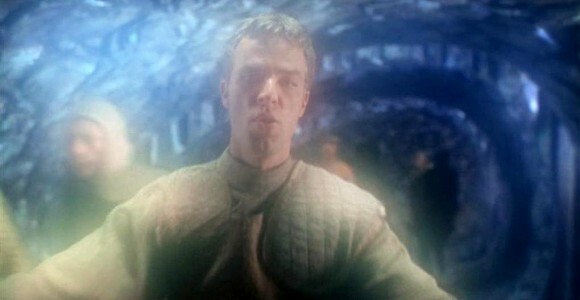 How would you rate SG-1's "The Tok'ra, Part 1?"